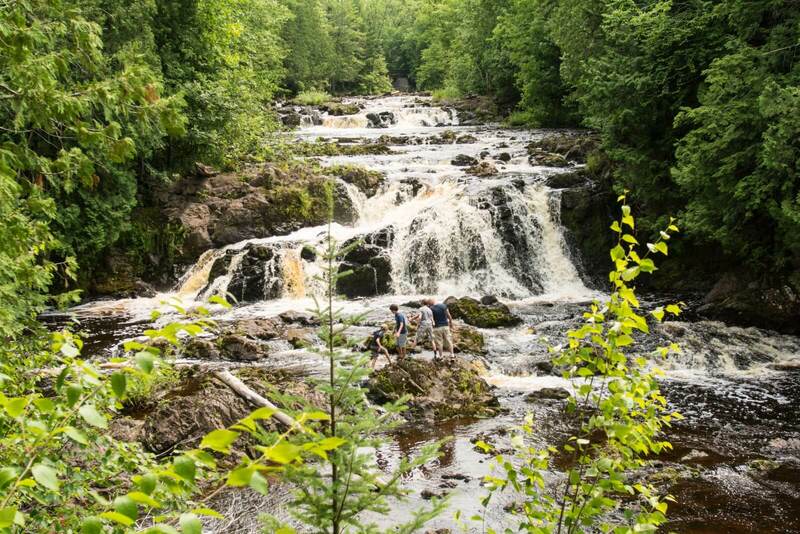 It’s true, you can’t beat sitting around a campfire on a cool summers night watching the sun go down, but these 9 adventures will make you realize that you can have just about as much fun in Northern Wisconsin in the Spring. 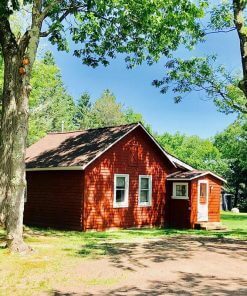 Lodging prices are at least half of what you would pay in the peak season and there are many amazing outdoor adventures in our neck of the woods year round. Start planning your spring adventure now and get ready to make some unforgettable memories! 1. 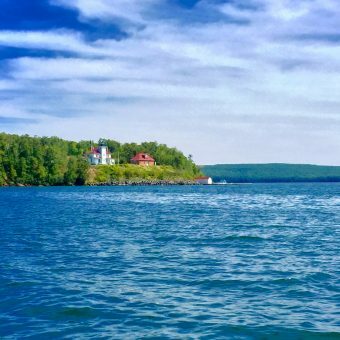 There’s nothing like a boat tour of the Apostle Islands on a cool crisp spring day. Hire a charter and spend the morning out on the great Lake Superior. You will be able to see the sea cave and beautiful bluffs around the islands and depending on the amount of ice left may even be able to get inside some of the caves. We recommend Captain Pete with PMG Charters. Have your camera ready. The sights are sure to impress! 2. Open from sunrise to sunset in the spring, you won’t want to miss hiking Houghton Falls. According to the Wisconsin DNR website: “Houghton Falls protects a picturesque pre-Cambrian sandstone gorge along the Lake Superior shore. 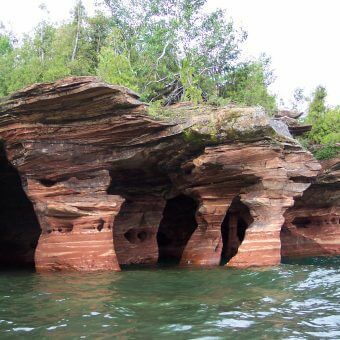 The dramatic sandstone cliffs extend into the clear waters of Lake Superior, affording views of the Apostle Islands.” Our family hiked it last summer with our 3 year old in tow and it was easy enough for her to navigate, while the older kids were able to take the more “challenging” route to the end for added excitement. 3. Fat Bike. This latest outdoor craze has taken our area by storm and you don’t want to miss out! Bring a change of clothes, because in the spring you’re bound to get muddy! The North Coast Cycling Association has a weekly safari ride every Sunday at 1 pm (check their facebook page or website for meet-up locations and updates). It’s usually 8-12 miles through absolutely beautiful trails. North Coast Cycling Association even has bikes for you to use if you contact them ahead of time. Otherwise you can rent them in Ashland from Bay City Cycles. 4. Spring fishing. Whether you hire a guide or plan to explore the rivers/creeks and lake on your own. You can head down to the Brule river for the steelhead opener or stick around Ashland and find some great spots in Fish or Pine creek. Some years it’s a warm spring weekend, other times it feels like a mid January winter day. Either way, you can’t beat getting outside and catching the first fish of the season. 5. Try out a new restaurant overlooking the lake, or one tucked back into the woods. 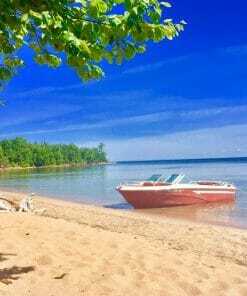 We love The Sandbar which is right on Lake Superior’s Chequamegon Bay in Ashland is lovely. Sip some fine coffee and enjoy a 5 star meal relaxing and enjoying their beautiful lake views. Head over to Burger Barn in Ashland for a great meal as well. Very family friendly atmosphere and they have the best salad bar in town! 6. This is the time of year to be out in the woods looking for deer antler sheds. Head out to the Chequamegon National Forest and spend a day walking around looking for the the antlers that deer shed in late winter/early spring. This is especially fun for kids. What a trophy souvenir to bring home from vacation to show your friends! 7. Copper Falls. 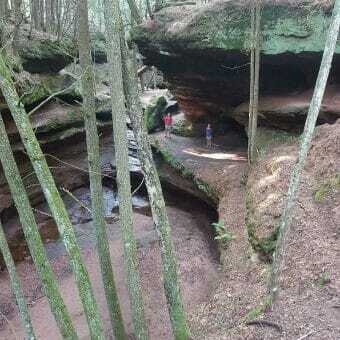 Hiking Copper Falls is something you must do while you are in the area. With the runoff from the thawing snow the falls are beautiful this time of year. Make sure you purchase a parking pass and take pack a picnic lunch–once you arrive you might not want to leave! 8. Explore Bayfield, before tourist season hits. This quaint tourist town is beautiful any time of year. You can spend the day browsing through all of the unique shops and even head up the hill to the wineries. Don’t forget to pop over to the Maritime Museum. And if you happen to make it to Madeline Island, they have some pretty cool shops and museums as well. 9. Cozy beach bonfire. 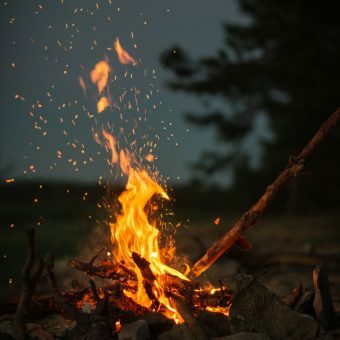 Nothing like getting some friends together and hanging out down by the beach around a bonfire on a crisp spring evening. Share some great stories, sip some cold (or hot) drinks, and make some memories! 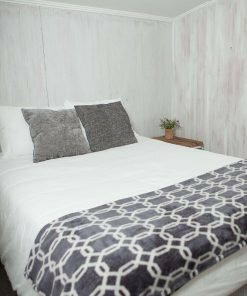 And if you need a great place to stay Mission Springs Resort in Ashland, Wisconsin is the perfect launching point for all of your spring activities. 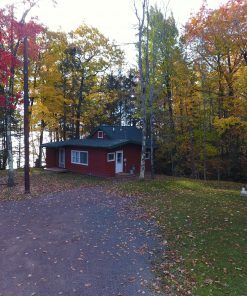 The Lake House sleeps up to 13 and our cottages are perfect for couples getaways and family adventures year round! This entry was posted in Apostle Islands, Bayfield, Fishing, Mission Springs Resort, Recommendations, Spring, Weekend Fun and tagged Burger Barn Ashland Wisconsin, The Sandbar Ashland Wisconsin.